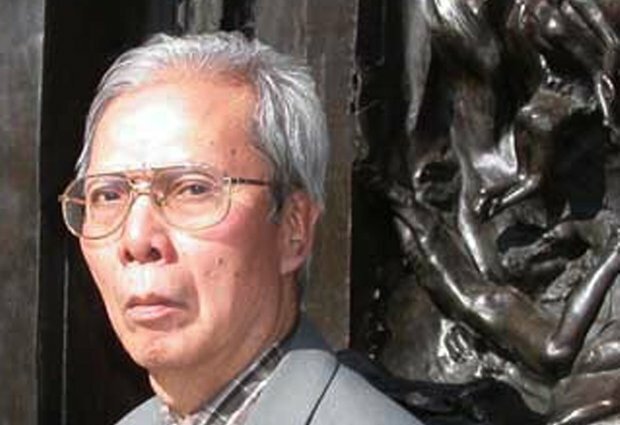 In his verses Nguyen Chi Thien, who died Oct. 2 at age 73 in the United States, described 27 years spent in prison in Vietnam. Banned pen and paper, he memorized all his poems, later collected in two volumes entitled "The Flowers of Hell." The discovery of Catholicism in his friendship with the priests imprisoned in communists labor camps. Hanoi (AsiaNews) - He was known worldwide by the nickname of "hell's poet," earned in his description in verse of the drama of 27 years of imprisonment in the jails of Vietnam as a political dissident. However, in the writings and life of Nguyen Chi Thien - who passed away on October 2 at 73 - a ray of hope always emerged, a glimpse into a future capable of defeating daily physical and mental suffering. A hope that, through his contact with Catholic priests and personalities in the cells and in labor camps, evolved over the years into a desire for faith. So much so, that after a deep soul searching, he wanted to embrace Catholicism receiving baptism in California, in the United States, where he spent the last years of his troubled but rich existence. Nguyen Chi Thien was born in Hanoi February 27, 1939, where he lived in his youth with his parents and sister. While still a boy he wrote a few poems critical of the communist regime, which led to his first arrest in 1961 at the age of 22; the charge, still in use today in Vietnam to incriminate internal dissidence, is that of anti-government propaganda. Released in November 1964, he was again imprisoned in 1966 and this time for 11 years. In jail he began composing - without paper or pen - the first poems, which he memorized and then transcribed once released. The first collection was inspired by "The Flowers of Evil" by Charles Baudelaire and was entitled Hoa give Nguc, "The flowers of hell." In 1979, he managed to throw a copy of the manuscript into the courtyard of the British Embassy in Hanoi, collected by a soldier on guard, and then translated by a Vietnamese scholar at the University of London. Immediately his verses began to circulate in literary circles and among Vietnamese refugees in the Diaspora, scattered across five continents. However, that gesture once again led him to prison. And this time to a forced labour camp, complete with physical and mental suffering and torture. Campaigns for his release by human rights activists and international organizations such as Human Rights Watch (HRW) were to no avail. He was only released in the month of October 1991, after serving - with brief periods of freedom - more than 27 years in captivity. He succeeded, however, to live his imprisonment with a free spirit, keeping the desire for the pursuit of happiness that is inside every human being alive. This aspect emerges in his poetry, reading between the lines of the verses, even the most dramatic and painful ("[...] I push the thought to the other side, through a network of chains and irons"). A peculiarity which is fed and strengthened his friendship with Catholics - especially priests - locked up in prison or in labor camps with him by order of the communist regime in Hanoi. In 1995, Nguyen Chi Thien moved to self-imposed exile in the United States, where he published Volume II of "The flowers of hell," as well as an autobiography and short stories on his experience in the Hoa Lo labour camp. In 1998 he moved to France for three years, before returning permanently to the Americas, where he lived the last years of his life in a house in Orange County, California. Marked by the suffering endured in captivity, his body underwent a rapid process of deterioration, hit by a barrage of diseases. However, he always knew how to keep his mind and spirit. A restless spirit, always searching for a meaning and a presence capable of overcoming the problems and difficulties of daily life. A journey that culminated recently in the decision to embrace Catholicism and be baptized.